Immunoglobulins from different species share similar structures. Secondary antibodies raised against one species are likely to recognize epitopes on other species’ immunoglobulins through those shared structures. 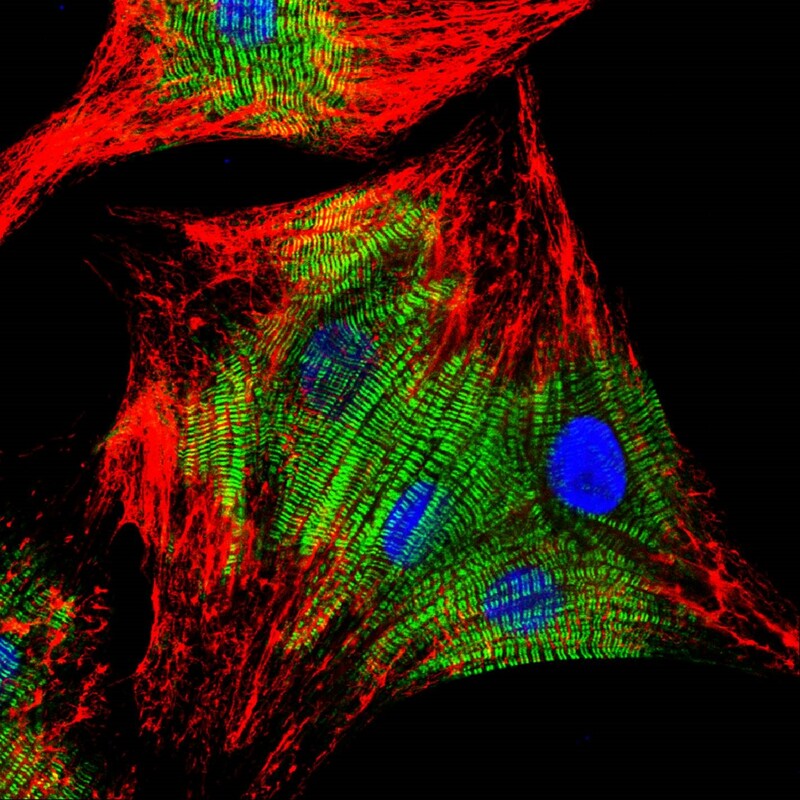 This cross-reactivity can cause background tissue staining or signal from a non-target primary antibody. When experiments require the use of material from multiple species, secondary antibodies with minimal cross-reactivity (min X) to serum proteins from non-target species are an indispensable component to the immunoassay toolbox. Cross-reactivity describes a secondary antibody binding to an unintended target. Species cross-reactivity occurs when immunoglobulins from different species share conserved sequences and similar quaternary structure. The paratope (antigen-binding site) of an antibody that recognizes immunoglobulin from one species may detect a homologous epitope on immunoglobulin from another species. This is common in closely related species such as mouse and rat, but may also occur in less obvious pairings. Cross-reactivity may lead to the detection of endogenous immunoglobulins from the sample (background signal) and/or detection of other experimental antibodies in a multiple labeling protocol (off-target signal). Affinity-purified antibodies are isolated from antiserum by binding to target proteins that have been immobilized on solid-phase gels. Cross-adsorbed secondary antibodies have been further purified on similar gels to remove those antibodies that happen to recognize shared epitopes on other proteins. Depending on the antibody description, the gels used for cross-adsorption may contain proteins from different species, different mouse IgG subclasses, or different antibody fragments. JIR confirms that species cross-reactivity has been minimized by ELISA and IEP testing. Polyclonal secondary antibodies consist of diverse molecules, each with a different paratope that binds a specific epitope on the target immunoglobulin. The many paratopes that are developed by the host animal are predominantly directed against antigenic epitopes that appear most foreign: the host animal tends not to produce antibodies against “self”. If the host animal is closely related to the target species (e.g. mouse anti-rat), the diversity of paratopes in a polyclonal antiserum is limited by the small number of sequences that are unique to the target species. These antibodies are said to have inherent minimal cross-reactivity to the host species. Secondary antibodies with inherent minimal cross-reactivity can be useful in limiting background staining on samples that present endogenous Ig, e.g. Mouse Anti-Rat IgG (H+L) (min X Hu, Bov, Hrs, Ms, Gt, Rb Sr Prot) minimizes background when detecting a rat primary antibody on mouse tissue. 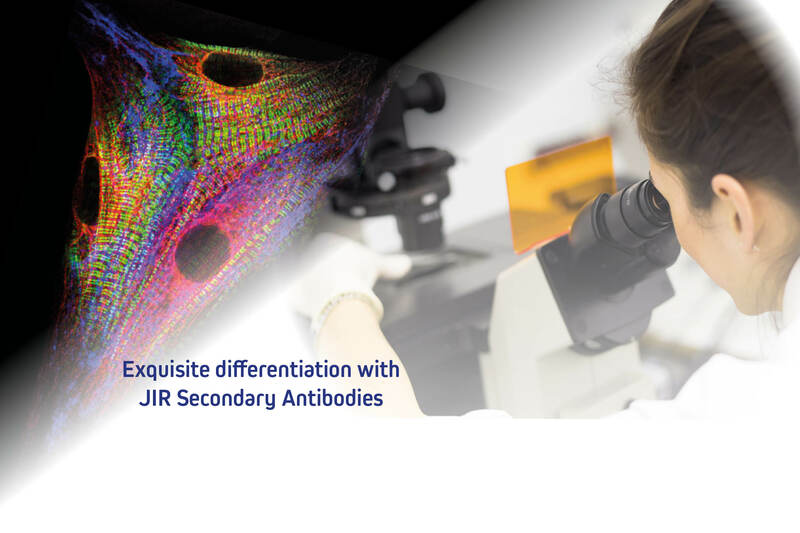 JIR antibodies with “(min X … Sr Prot)” in the description have been adsorbed and/or tested against IgG and/or serum proteins of the species indicated in the parentheses. For example, Alexa Fluor® 488 AffiniPure Donkey Anti-Mouse IgG (H+L) (min X Bov, Ck, Gt, GP, Sy Hms, Hrs, Hu, Rb, Rat, Shp Sr Prot) has been cross-adsorbed against bovine, chicken, goat, guinea pig, Syrian hamster, horse, human, rabbit, rat and sheep IgG and serum proteins. Cross-adsorbed antibodies exhibit minimal cross-reactivity with those species, whether presented by the experimental antibodies or by endogenous proteins in the sample. Are cross-adsorbed secondary antibodies required in your experiment? Many immunotechniques require antibodies from multiple species in the assay system, whether ELISA, flow cytometry, or IHC. Cross-adsorbed secondary antibodies are recommended for avoiding detection of immunoglobulins that are not the intended target. For applications in which species cross-reactivity is not a concern, the use of cross-adsorbed antibodies is optional. The additional purification steps make highly cross-adsorbed antibodies more expensive, which may be a consideration. In addition, using antibodies that are extensively cross-adsorbed, or adsorbed against closely related species, may result in a diminished signal due to a reduced number of paratopes against the intended target. Caution: Do not dilute any antibody with normal serum or mix antibodies together to save time. This may result in immune complex formation and increased background. Note: In this example, the secondary antibodies used do not recognize each other since they are all made in donkey. They have been solid-phase adsorbed (min X) so that they do not recognize the other primary antibodies used in steps, 2, 5, and 8. Also, they do not react with endogenous mouse Ig, which may be present in the mouse tissue. Caution should be exercised when considering antibodies that have been adsorbed against closely related species since they have greatly reduced epitope recognition and may recognize some monoclonals poorly. For example, choose anti-mouse IgG adsorbed against rat IgG to detect a mouse primary antibody in rat tissue which contains endogenous immunoglobulins, or in a multiple labeling application which includes a rat primary antibody. However, cross-adsorption to rat IgG is not required when detecting a mouse primary antibody in the absence of rat immunoglobulins. Two other examples of antibodies which have diminished epitope recognition after adsorption with closely related species are Anti-Rat IgG (min X … Mouse … Sr Prot) and Anti-Armenian Hamster IgG (min X … Mouse, Rat … Sr Prot). Equipment: Apparent off-target signal in a multiple labeling protocol may be the result of inappropriate excitation/emission filters. Fluorophore conjugates with broad excitation/emission spectra can contribute to signal in another channel. Narrow band-pass emission filters help discriminate among signals from multiple fluorophores. Experimental design: It is very important to validate each pair of antibodies used in each experiment. Titrate each set of primary and secondary antibodies prior to proceeding with a multiple labeling protocol. Minimize protein-protein interactions by incubating reagents sequentially rather than making cocktails.